At the outset, please allow me to thank Mr. Antonio Gutrress, the United Nations High Commissioner for Refugees, for his comprehensive report under agenda item 61 and his insightful briefing this morning. I further wish to take this opportunity to express my delegationâ€™s gratitude to the High Commissioner and dedicated staff of UNHCR for their commitment and tireless efforts to the plight of the worldâ€™s refugees and internally displaced persons (IDPs), in particular their special attention to the refugees and IDPs of Afghanistan. Afghanistan has suffered from the consequences of over thirty years of conflict.Â During the 1980s and 1990s, millions of Afghan people tried to escape the calamity of war by leaving their relatives and belongings behind and seeking refuge in neighbouring states, particularly Pakistan and Iran.Â Regrettably, due to reoccurring instability and violence, one of the greatest numbers of refugee countries of origin in the world is Afghanistan.Â In this regard, the challenge of refugees and IDPs is not an issue we have encountered recently but much rather one that has affected the Afghan people for decades. More than 5.5 million Afghans have found their ways back to their homeland since the fall of the Taliban in 2001, which constitutes one of the largest and most successful voluntary repatriation programs in recent decades. However, this number translates into a population increase of 20 percent within the past eight years, an adjustment with which any country would struggle, let alone a state that has found itself in turmoil and instability for the past three decades. Returnee settlementsâ€™ main concerns are often very basic: infrastructure, water, and shelter, as well as the lack of possibilities to support livelihoods.Â The majority of Afghan refugees have been living in exile since the late 1980s, and in many cases have spent their entire lives outside of their homeland.Â This fateful reality further complicates any reintegration process.Â Thus far, the overwhelming majority of refugees have returned from the Islamic Republics of Pakistan and Iran.Â Nevertheless, 2.7 million registered Afghan refugees still remain in both countries. The Afghan government places among its top priorities the voluntary, gradual, and dignified repatriation of Afghan refugees. Â My government is particularly aware of the importance of providing stability within our borders and leading a functioning reintegration process in order to provide refugees and IDPs with incentive to return as well as to keep them from entering this vicious cycle again.Â During this year alone, the number of refugees who have returned to Afghanistan already exceeds 100,000. Guiding a sustainable repatriation which prioritizes reintegration will continue to be the focus of our discussions with the Governments of Iran and Pakistan during our respective Tripartite Commission meetings in cooperation with the UNHCR. We will carry on utilizing these reunions as opportunities to exchange best practices and advance our collaboration. 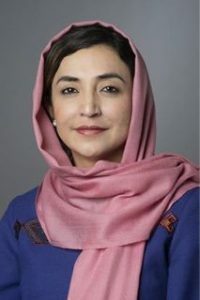 The Pakistani government and the government of Afghanistan have been working vigorously throughout and renewed commitments earlier this year.Â Furthermore, the recent recommencement of Tripartite consultations with the Government of Iran signifies a tremendous step in the right direction on both ends.Â Last month, we had fruitful discussions about how to improve reintegration prospects in the future. Much progress has been made over the past nine years; still, much remains to be accomplished. Relative to previous years, recently repatriation has stalled substantially.Â This is undoubtedly, intrinsically linked to the twin threats of terrorism and insecurity as well as the growing challenges of the humanitarian situation. The number of IDPs remains high, particularly for displaced people coming from provinces that have seen the highest levels of unrest and terrorist activity. 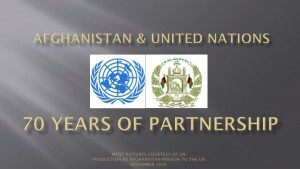 Regrettably, this year we have yet again witnessed deterioration of security in parts of Afghanistan. Over the last twelve months, the circumstances contributed to a rise in internal displacement of over 100,000 persons, mostly in the southern and eastern parts of the country. Throughout these trying times, the international humanitarian agencies have been indispensable and both our government and people are tremendously appreciative for the assistance in the emergency response in dealing with these situations. The successful homecoming of our people abroad remains a main concern of the Afghan government. In order to facilitate this immense voluntary repatriation, we intend to sustain efforts to fully implement our comprehensive sector strategy concerning refugees, returnees and IDPs, as outlined in the 7th Pillar of our National Development Strategy. Increasing our absorption capacity in order to better be able to administer and assist sustainable reintegration will be crucial and must therefore be a centre piece to our efforts. In that regard, we will endeavour to improve capacity in relevant Ministries dealing with repatriation, foster greater inter-Ministerial coordination, and mobilize additional resources with support from our international partners. Afghan refugees, returnees and IDPs are faced with numerous challenges due to poverty and, undoubtedly, decades of conflict. In recognizing the intricacy of this essential undertaking at hand, we are conscious that a positive outcome will entail patience, resources, and above all, the unrelenting commitment of our international partners. Nevertheless, we are confident in the outcome of our joint efforts. Let me conclude by expressing the appreciation of the Afghan government and its people to the brotherly peoples and governments of the Islamic Republics of Pakistan and Iran for hosting Afghan refugees over the past three decades. Furthermore, we are wholehearted in extending our sincere gratitude to UNHCR and all other relevant international organizations for lending a hand during these trying times. Certainly, if it were not for their generous support for this grand scale voluntary repatriation in Afghanistan, our advancements would not have been attainable.